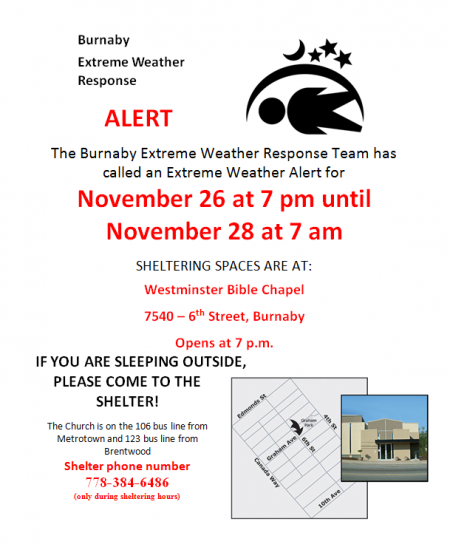 The Burnaby Extreme Weather Plan provides for sheltering spaces to be made available when weather is severe enough to pose a higher health risk to homeless people. The purpose of this notice is to inform that an Extreme Weather Alert has been called. Shelter spaces are being provided at Westminster Bible Chapel.